Remember the biblical story of the fall of the wall of the Jericho; when the Israelites walked round the wall of Jericho in obedience to God’s command causing the wall to crumble? Pastor E.A. 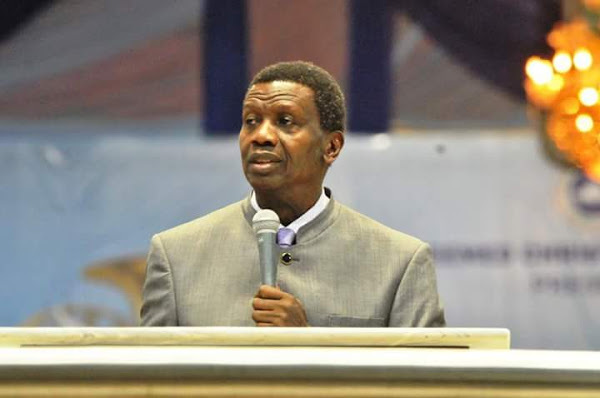 Adeboye, General Overseer of the Redeemed Christian Church of God at the ongoing RCCG Convention led his congregation in an exercise that symbolized the biblical fall of the wall of Jericho. This was done during the special deliverance service programme of the Holy Ghost Convention and according to Him, was aimed at breaking the hold of the devil. To clear people’s doubt about the exercise, he further explained to his congregation that he initially wanted them to just sing praises to God but He [God] wanted them to do something special. Regular attendees of the Holy Ghost Service and Convention would not have found this weird and there have been several seemingly weird instructions that have proceeded from the altar wherein God proved himself to be great. He asked that people did a symbolic walk around the area wherein they were seated as he counted from one to seven. After the count of seven, the church’s instrumentalists were to take over by blowing their trumpets whilst the congregation sang Hallelujah similar to what the Israelites to the wall of Jericho did in biblical times. Things took a rather new turn when at the count of six, some members shouted a Hallelujah contrary to the command which specified that they shout Hallelujah after the count of 7 (seven). He allowed the session to end, after which he notified them to repeat the session because of those who shouted Hallelujah before it was the due time. He used this exercise to remind the congregation of the importance of praise in pulling down seeming strong walls and boundaries.